April 5th is Chinese Tomb Sweeping Day, from April 2nd to morning of April 5th, each Chinese people would worship their passed away family- usually their grandparents or parents. And to allows people who work outside their home town to worship their ancestors, China set Tomb Sweeping Day as a 3-day public holiday. 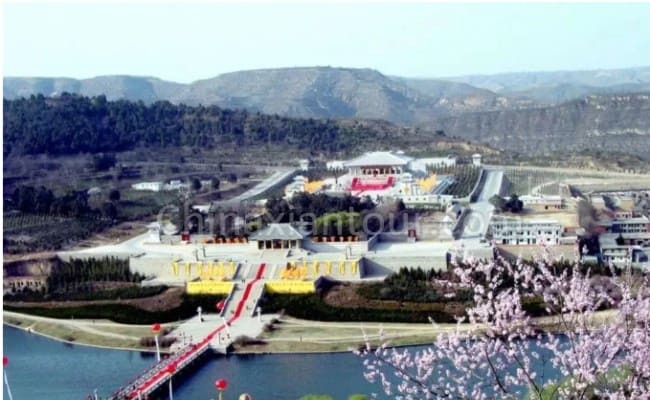 Except for each individual’s worship to their ancestor, China government also hold the Chinese Public Ancestor Worship Ceremony on each April 5th in Yellow Emperor Mausoleum Scenic Area in Yan’an, because we Chinese people think us as Offspring of Yan and Huang Emperor. On April 5th, 2019, the annual Chinese Public Ancestor Worship Ceremony was held as expected. Over ten thousand Chinese people gathered on the Worshipping Square of Yellow Emperor Mausoleum Scenic Area, they are from mainland China, HK, Macaw, Taiwan, and overseas. The ceremony was hosted by Mr. Lang Gui, representative of Shaanxi Province Government. 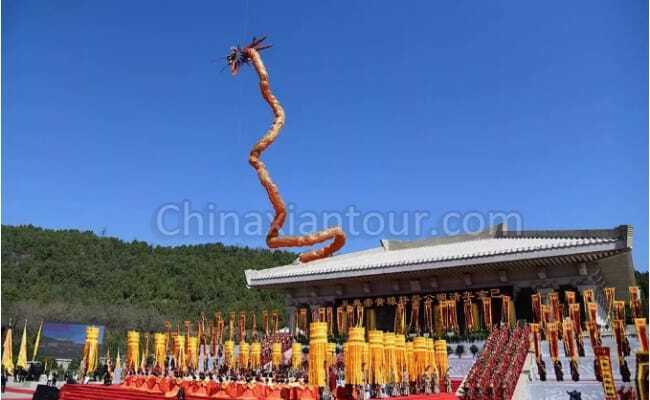 The worship ceremony has seven chapters: Beat Drum and Bell, Cantata Ode to Yellow Emperor, Present Flower, Read Funeral Rration, Bow to Yellow Emperor, Worship Dance to Yellow Emperor, Dragon Dance Performance. The ceremony shocked all the participates. 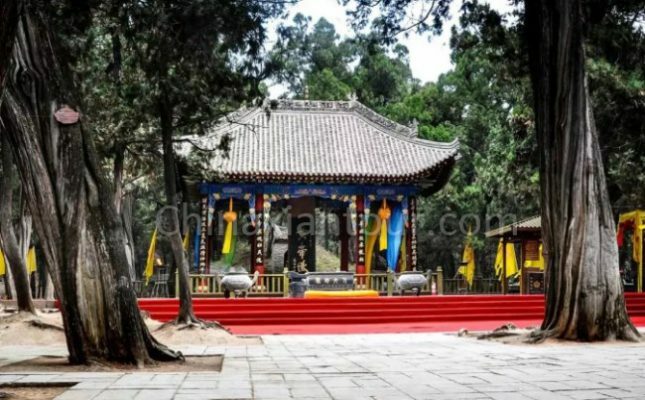 Every there are hundreds of people visit Yellow Emperor Mausoleum, but on April 5th, only people who approved with conditions can visit the mausoleum, because on that day, the mausoleum is especially festive and holy.